Titeln kanske inte går att titta på från platsen där du befinner dig. Gå till www.amazon.com för att visa katalogen över videor som är tillgängliga i US. 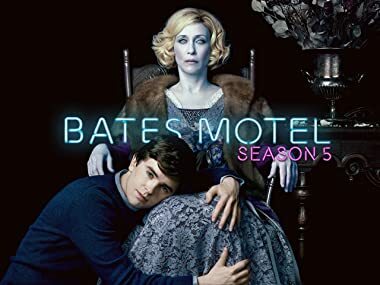 Emmy-nominated actress Vera Farmiga returns for double duty as executive producer while also reprising her role as 'Mother' who is very much alive and well but only in the twisted, complicated mind of 'Norman Bates' played by Freddie Highmore. Grammy Award winner and series super fan Rihanna checks in to play the role of 'Marion Crane,' putting a newly reimagined spin on the iconic character. Norman tries to keep up appearances despite a troubling discovery. Norman's date doesn't go as planned. Romero's frustrations reach a boiling point. Norman helps Chick with a project. Romero makes his move. An apologetic Madeleine reaches out to Norman. Norman discovers who he can rely on as he attempts to protect his secrets. Romero struggles to find safety. Norman attempts to piece together Mother's movements. In Seattle, Dylan and Emma confront an ugly truth, while Sam's girlfriend Marion makes a spur-of-the-moment decision with far-reaching consequences. Norman checks in a special guest at the motel. Dylan grapples with devastating news. Sam and Madeleine face a crossroads in their marriage. Norman and Mother come together as trouble looms large; Romero convalesces with the help of an old friend; Dylan comes home. Mother turns to tough love to protect Norman; Sheriff Greene begins a murder investigation; Dylan gets his brother help. Norman's legal problems worsen; Emma tends to family business as Dylan finds himself caught between his past and his future; Romero enacts his plan for revenge.